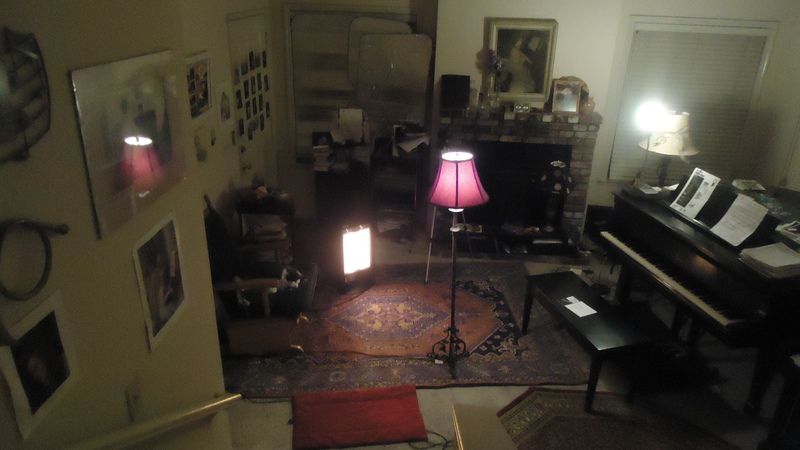 As I prowled around my home at 3 a.m. looking down from my staircase, I beheld my Steinway grand piano draped in special lighting that spilled into a portion of my living room. Aiden, my cat, slept peacefully amidst the dim glow, and overall I experienced what I saw as a painting worth capturing on camera. It does look like a painting!